There are many reasons that your micro SD card can become corrupted. It can be caused from the operating system crash, virus attack, accidentally deleted files, accidentally formatted SD card, or it cannot be read at all. Micro SD usually additional memory chip for smartphones, cameras, music player, CCTV and more. 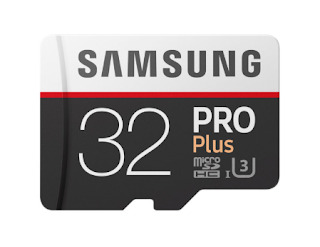 The content of SD card could be photos, videos, audios, and other documents. The ultimate reason to add a micro SD card to a smartphone is to make more space on the built-in internal memory when your internal memory had enough free space, the smartphone will perform well and we can install software and take more photos. If your SD card is unreadable you can try to remove SD card from your device and clean up all dirty contact pin using the pencil eraser. Make sure the surface is clean from dirt and re-insert SD card to your device and see if its work. Test disk. http://www.cgsecurity.org/wiki/ TestDisk available on Windows, Mac, and Linux. Although the interface is not GUI, this program is powerful. No installation required, just extract and run the file. https://www.piriform.com/recuva is free and paid version. If you are looking for free Sandisk data recovery software on the internet you will get tons of result. Most of them are a free trial, means at some point you going to pay before recover big amount of data. This is still good if you have under 2GB data to recover. Use the trial version to make sure that the program can detect the files you want to recover. http://www.lc-tech.com/pc/sandisk-rescuepro-and-rescuepro-deluxe/ This will recover all type of Sandisk memory as well as other. https://www.cardrecovery.com/ Recover Photo, Video, Audio files for phone and digital camera. The price is USD 39.95 per copy, 2 years free upgrade and no monthly or yearly fee. The evaluation version can preview the file but if you want to restore you need to buy the software. I hope you find this post about how to fix a corrupted Micro SD card is useful, do not forget to share this article.